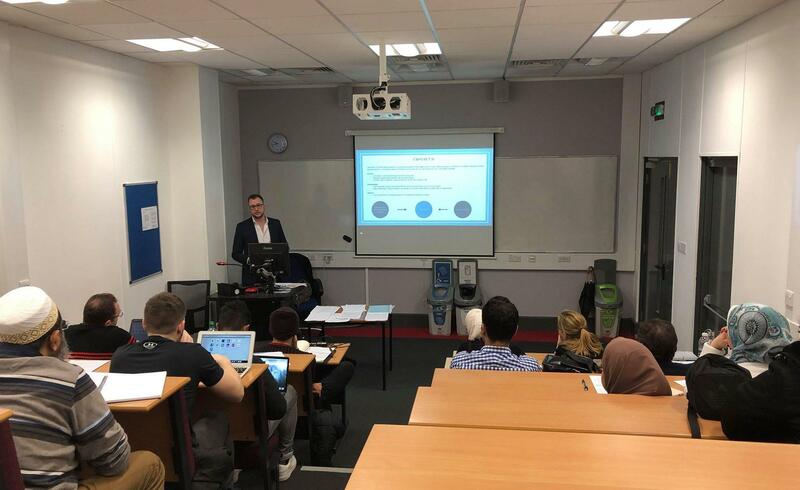 D2’s BIM Manager Ashley Williams, was invited by Salford University to present to students reading their MSc in Construction Management on the implementation of 4D in BIM. 4D is the concept of taking a 3D model and assigning tasks to elements within the model, to generate a programme. From this, the 4D Planning model can then be utilised from construction sequence checks, to integrate methodology, helping to ensure safe working. Ashley’s presentation also looked at innovation and how we can ensure that BIM is being used as a foundation behind new technology. Recapping on BIM and the Maturity Wedge, Ashley discussed the importance of working within a BIM Environment and provided an insight into the next dimensions of design the industry should be focusing on, from 4D to 6D. Expanding further on 4D, Ashley provided examples of previous projects in which 4D had been utilised. Building upon this, Ashley raised the importance of not only taking advantage of new technology to support the implementation of 4D, but to also ensure that the construction industry is utilising this technology with BIM at its core, providing further examples on how we can improve the way we approach 4D. Many thanks to Dr Zeeshan Aziz for allowing us the opportunity to engage. We look forward to further opportunities to share our experiences and talk about the innovation we are bringing as part of our wider programme management consultancy offering.